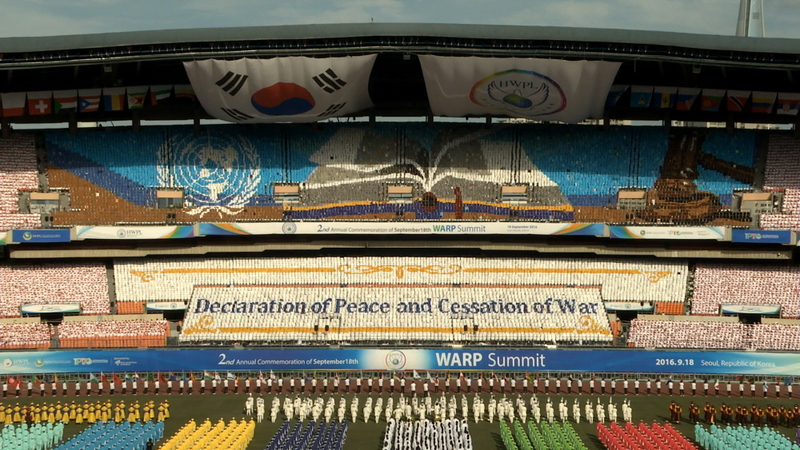 Last month at the WARP Summit 2016, 12,126 IPYG youth created spectacular scenes of War and Peace that captivated the viewers, which was seen as the result of purely voluntary efforts in raising great awareness for peace. Behind the scenes, however, performers, staff, and organizers, under scorching heat and humidity, spent over 180 hours practicing in the span of 18 consecutive weeks. 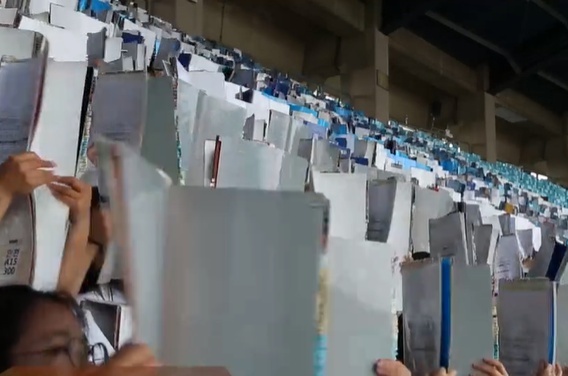 The card section performance deeply moved all the participants on site, as well as those abroad who watched through screens, binding everyone together in the spirit of peace. So, what has motivated these youths to gather and express these exquisite moments of peace? The distinctive features regarding this year’s card section performance and the performers’ narrative interviews are highlighted here. From the bottom of our heart, we fully support the peace work of HWPL along with IPYG and IWPG. We were more than willing to spare our time, efforts, and young spirits to raise hopeful awareness of peace. As non-paid and purely voluntary performers, the spirit of volunteerism, which has become a culture perceived among all youth performers, was something that bound us together. What we enjoy in this world should not be taken for granted, and we, as the youth in this generation, ought to give back and make this world a better place to live in for the future youth. It encourages us to keep on going even when facing many obstacles before us. 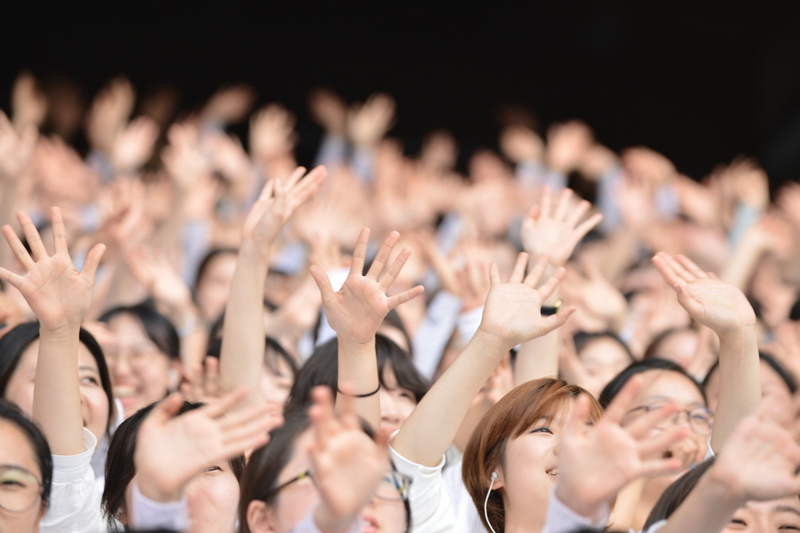 We are students, teachers, advertising marketers, nurses, trading firm workers, salespersons, and much more, and we also come from diverse backgrounds in terms of ideals and views. Yet, we share one common ground – that is, we hope to spread a culture of peace through our performance. A culture that will move many hearts of citizens and leaders, who will come to realize the necessity of putting an end to wars and will then actually act upon their beliefs. Holding, folding, and unfolding each individual card that we made demonstrated the diversity among us and that of the world in which we live. However, it is the culture of peace that unites all differences in the mutual understanding and tolerance between peoples, communities, and nations. Our unique story and experiences are to be shared with others in spreading the culture of our common goal. What is great about our performance is that it delivers the hearts of many yearning for peace with strong messages and realistic scenes for the global citizens. This year’s card performance, “War and Peace” consisted of three acts: The History of War, Articles of DPCW, and Korea, the Core Nation of Peace. The 21 minute-long performance narrated the atrocities committed during war time, both in the past and present, as well as the roadmap to reach a sustainable and universal peace. Our determination and messages for the global family are captured in this video. The article above was written in a first-person perspective based on interviews of card section performers. Please click to see more relevant content, 12,126 Peace Messengers Deliver the Hope of Peace to the World. 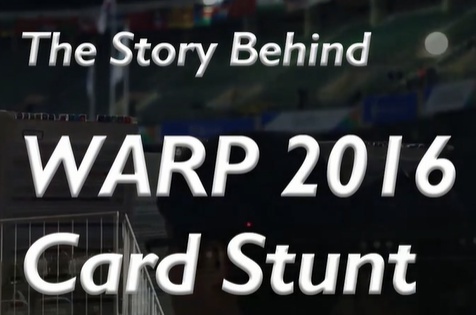 Q) What was your driving motivation to participate as card stunt performer? I met a veteran of Korean War when I visited elderly living alone. he saw, fear and sorrow he felt over losing his family members at Korean War. After such awakening, I participated at peace walk two years ago. There, I witnessed many people who also sincerely hope for peace and saw a practical step to bring peace. 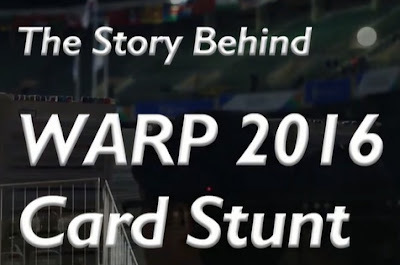 I volunteered as a card stunt performer. 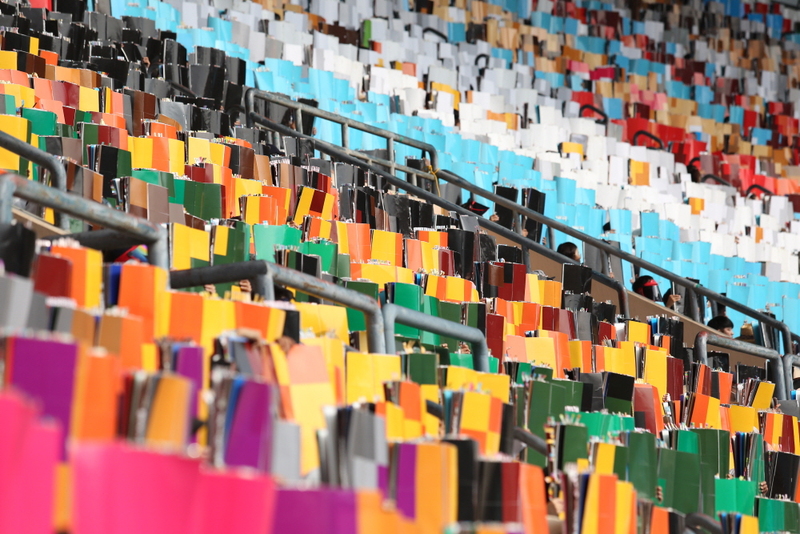 Q) What does card stunt performance mean to you? 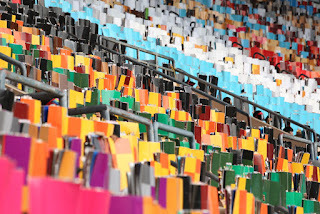 I've faced many challenges while preparing for card stunt performance. I had to endure scorching heat from sun, work in a drenching sweat, I could overcome these challenges by changing my thoughts. When I saw many people next to me are raising their cards for the same purpose in same mindset, I felt I am not alone in this work. That's how I could overcome such challenges. The most difficult mement I recall was when my mother became suddenly ill the day before the practice. I felt the fear that I could have lost someone I love the most. It tore my heart apart when I realized there must be so many at war. who are constantly under this fear of losing their beloved ones. 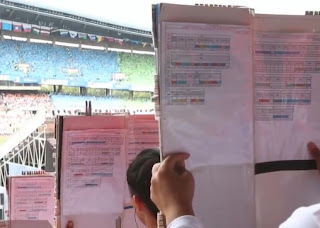 I decided to take a firm stand on their behalf to achieve world peace by participating at the IPYG Card Stunt performance which presents practical steps to bring peace. Q) What would you like to say to people who will be watching this card stunt performance? I'd like all who will watch the card stunt to not only watch the directed scenes but also feel the heart to put an end to wars and sacrifices of lives. It shouldn't be the work of an individual but of everyone in the world. As a member of this golbal family, it is our collective task to fulfill world of peace. Achieving world peace is not a task single individual can achieve. That's why I ask everyone in the world would join this work with the same heart. 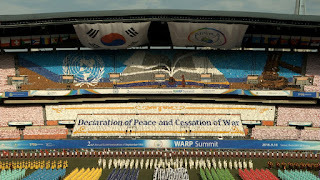 If our card stunt performance moves the hearts of people attending this year's WARP Summit to join this work of peace, I believe world peace will no longer be a distant dream. 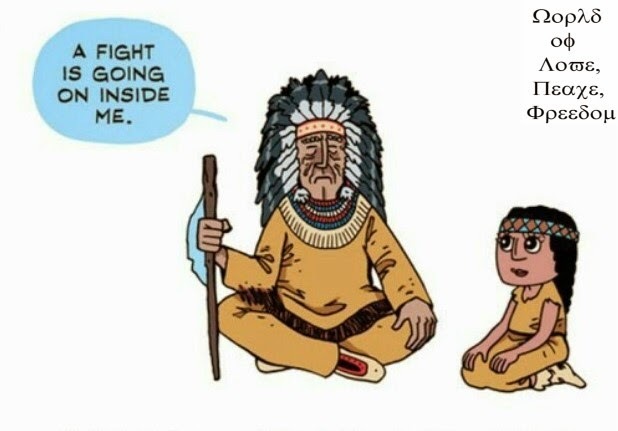 What we all want is peace on earth.